When disaster strikes and you realize that your computer has been compromised by malware, you should not panic. Luckily, it is not the end of the world! However, you ought to act fast and come up with a reliable malware removal tool that will bring your computer back to its prior, normal and safe state. On the market there are quite many different malware removers that you can have your pick from. It is great to have versatility and a lot of options to select from. The only thing that you need to make sure of is that you fully understand how each tool works and that you follow the guidelines given by its manufacturer. We have gathered the very best 10 malware removal tools, according to our experience and the test of the independent IT-Security Institute called AV-TEST. Based on the most important factors and after having tested each and every single aspect of online malware security, they have published their findings and we display these tools to you after our thorough study. First thing’s first though; how do we come up with the conclusion that our computer has been infected by malware and what are we supposed to do next? Is your computer running a lot slower than before? Do you have problems when trying to complete a task? Does your computer do stuff that you have not authorized? 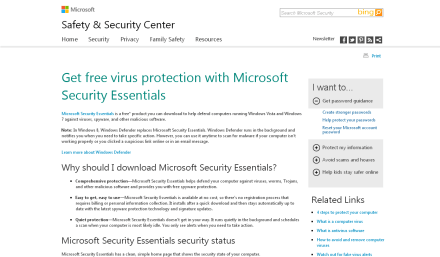 Does it prevent you from scanning for viruses and malware? Do you experience a lot of pop ups, calling you to suspicious actions? Once you realize that the threat is there, you can search for possible cure online. Google is your friend and you will be surprised to find out how many people have experienced the very same symptoms. In case there are step by step instructions as to how you can remove the specific malware from your PC, do not ignore them! Of course, this is a long shot and most of the times the problem is not going to get solved that easily. This is why you will need to run a scan for malware, but always on Safe Mode with Networking. One point you should be scholastic about is the actual PC malware removal you are about to use. If you have had it on your PC prior to the infection, then you should seriously consider using another program. It is most likely infected itself and will not do your PC any good. Since one time can be risky, once you are done with the first scan you are strongly encouraged to complete another one with a different malware remover. In this way, you can rest assured of the results you get. Finally, when the threat has been eliminated and you are back to normal, make sure that you install a trustworthy anti-malware tool from scratch! In total, 60 malware samples have been tested and the tools used tracked and repaired the vast majority of these threats. It is always expected that you get to update the malware removal tool that you use on a timely basis, in order to get the latest version that includes updates and information on even the most advanced and newest dangers online. This is the only malware removal tool that scored 100%, repairing 60 out of 60 malware samples. 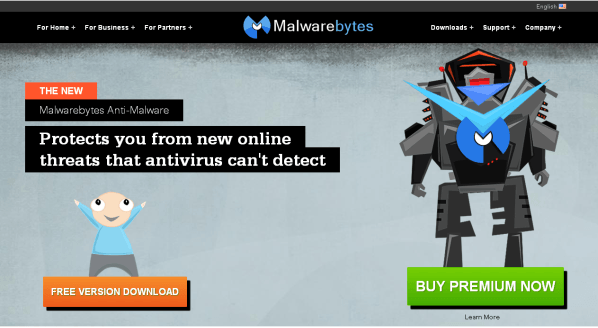 Malwarebytes anti-malware free is a tool offered by Malwarebytes, a company founded back in 2008 and based in San Jose, USA and Tallinn, Estonia. It is free, while there is a premium version also available. Scoring 99.4% in the test, Bitdefender only missed to repair one threat. 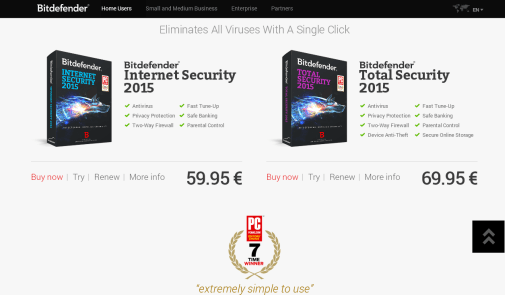 The new products are available to the public, with Internet Security 2015 costing $59.95. There is a free 30 day trial offered before the purchase. The score of F-Secure Internet Security 2014 was 97.8%, repairing fully 56 out of the total 60 malware samples. The company was established in 1988 and its headquarters are in Helsinki, Finland. 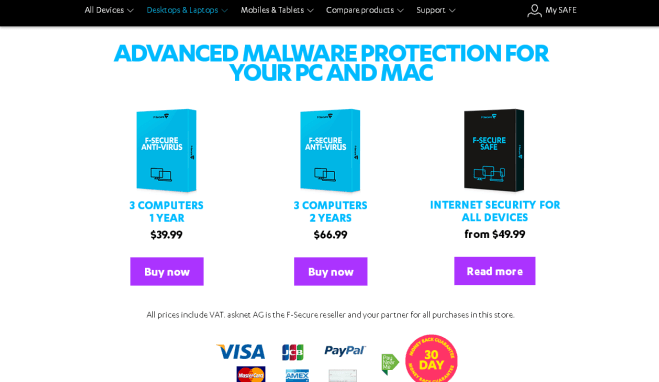 With a 30 day free trial on, yearly subscription for one device costs $49.99; protection for 3 computers goes up at $69.99. Kaspersky Internet Security 2014 scored 97.8%, too and repaired 56 out of the 60 malware threats. 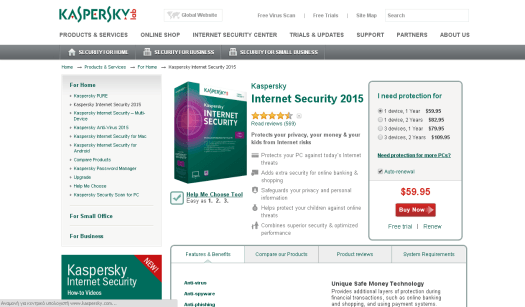 The company has been around 1997 and now has released Kaspersky Internet Security 2015. The yearly subscription for one device is offered at $59.95, whereas three devices stretch to $79.95. Norton Internet Security 2014 scored 97.2% at the AV-TEST, removing 55 out of the malware threats that were included. 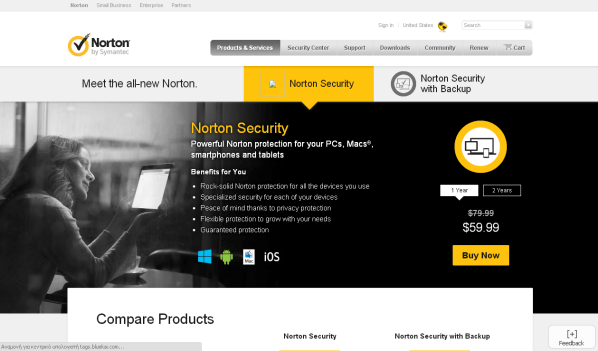 Norton Security for a whole year costs $59.99 and there is a 60 day full money refund guarantee from the company. Symantec’s headquarters are in Mountain View, CA. Moving on with the best malware removal tools, there is ESET Smart Security 7 that has scored 95% at the test and repaired 51 of the malware samples. 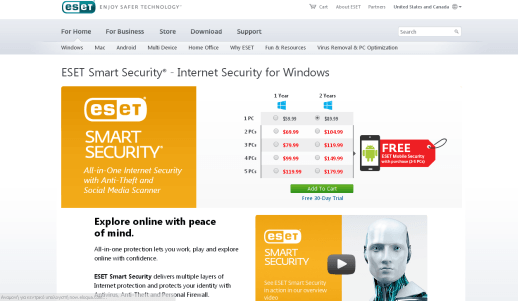 Smart Security on one PC costs $59.99 and the price goes up, according to the devices you are interested in. There is a free 30-day trial provided. With 55 malware threats fully repaired and 2 active malware components left untreated, AVG AntiVirus Free 2014 has scored 96.1%. The free version now available is AVG AntiVirus Free 2015, while at $54.99 you get the premium version. Free trial lasts a month at this company, as well. 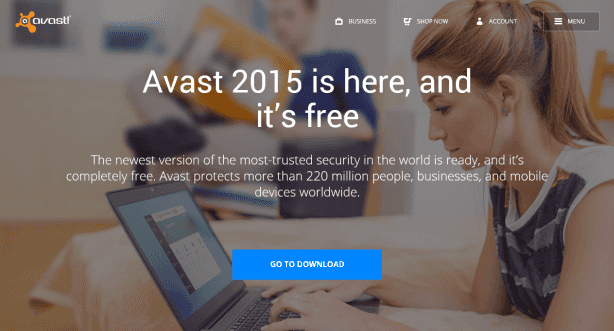 52 out of the 60 malware samples have been removed by Avast! Free AntiVirus 9.0, which makes the score 93.3%. Founded in 1988, the company’s headquarters are found in Prague, Czech Republic. Besides the free version, there are also the Internet Security and Premier versions with a 30-day free trial offered. Microsoft Security Essentials has scored 88.3% at the test, since it was able to repair fully 48 out of the 60 malware samples used. 7 active malware components were not removed during the test and 1 malware trace was left undetected. This malware removal tool is offered for free from Microsoft. Last but not least, Avira Free Antivirus scored 91.7% throughout the AV-TEST challenge and repaired 50 out of the 60 malware threats. It left 1 active malware component untreated and 7 harmless file remnants, along with 2 malware traces not detected. 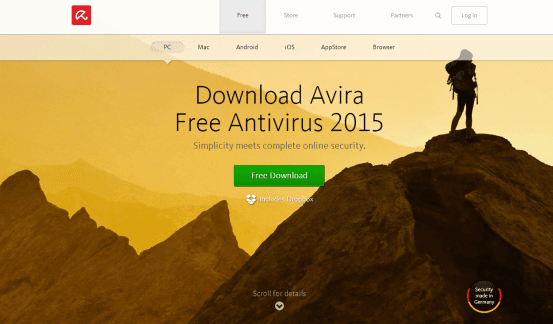 Now, Avira Free Antivirus 2015 is available for download. These are the 10 best tools to use, when you wish to remove malware from PC. Feel free to share with us your experiences, while using these tools. We are waiting for your feedback, as security should always come first online! I am fo di g olddr information yet these progtams have improved and are aware of such sttacks. MSLWAREBYTES is a staple. Though the problems ihave pass the avs completely unless i start trying to regsib permission. The the av pops uo with a notice. 1 xomouterad so many lickedd files that scanning in safe mode logged that files sere licked but ok. Yet they were not ok. So i wull continuevto learn. H ave learned alot just in tge past hout even with older infirmation cimparung it ti the newest i have foubd so far recently. I vow to not give uo. Trued that and didnt get anywhere. Buts hat off to you guys. I sm impressed and recharged already. Though its not as jard as having a teen with bipolar disorder, and fighting to keep him skive for 20 years. But if i cab do that and other such things college grafs do i can do thism Thinaks to all for words of encouragemebt and advice. Doesn’t hurt to go over a topic to be sure its understood. And i find that your pists arr handled with kijbdness and courtesy leaving one with sone dignaty. Even the blondes like me, that needs a hamner to get information in the head completely. You are aporeciated. We will appreciate if you could proofread just a bit more the next time around.